This course combines two professional Diplomas to bring you an understanding of the public and private sector when looking after children as both bring their own set of skills and responsibilities. students with an amazing opportunity to both study and build up their professional experience in childcare. With a rising demand for highly qualified and dedicated childcarers within the private sector, professional nannies attract a great deal of interest from families of all types, including high profile families within the UK and overseas. This intensive course is designed for working people, with weekend classes and guided online learning available throughout the academic year. The main benefit of completing this course is having a wide range of employment opportunities that our students can choose to follow. You can apply for work in settings (crèches, nurseries, reception classes at schools, pre-school centres) as practitioners or pursue a career of a professional nanny in the private home setting. 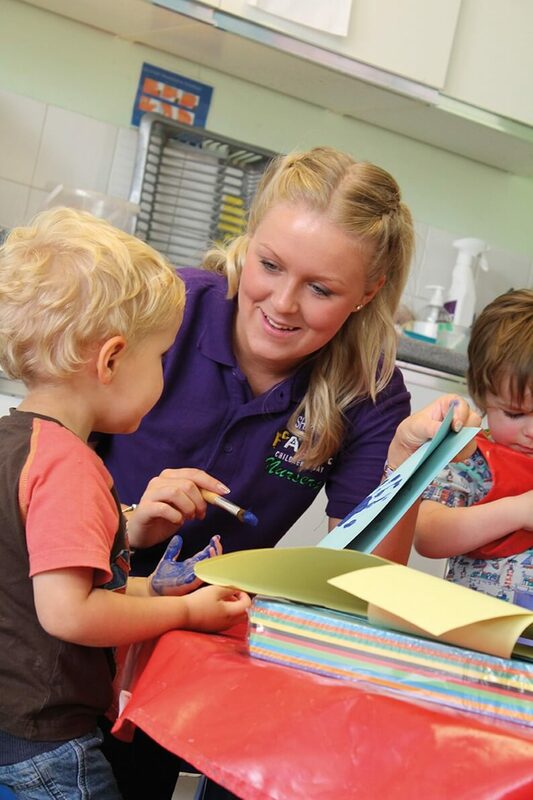 There is no other childcare training centre in London that combines these two different career paths in one course. This course is ideal for people who aspire to become a qualified Nanny, practising Nannies wanting to enhance their knowledge and skills and gain a nationally recognised qualification and other child carers wanting to gain qualification and/or work experience in the early year’s settings. The London School of Childcare Studies provides a work-pay-study scheme for this course. We are able to set up a funding scheme with the student’s employer (e.g. a private family or any type of childcare setting such as a nursery), enabling students to have their course fees paid directly to us by their employers from your salary, as long as you are working in a childcare setting, caring for infants and children aged 0 – 5. This will help you spread the cost whilst getting the experience you need to complete your training. 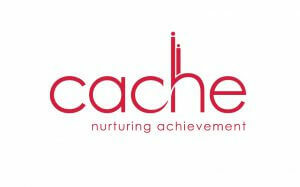 On completion of your Cache Level 3 Diploma you can progress onto a foundation degree/higher education. CACHE Level 4 Certificate for the Early Years Advanced Practitioner is perfect for existing practitioners looking to move up in their career towards senior and management positions or CACHE Level 5 Diploma in Leadership & Management for residential childcare. Duties and ethics of the professional nanny, working in the home environment. Managing nursery duties and child care in the home environment. Understanding the psychology of child-parent’s emotional attachment and family dynamics. Techniques of assertiveness in communication, between nannies and parents. Communicating with children, parents, carers and others involved in the child’s life. Introducing various forms and styles of parental care. Supporting families of diverse cultural and religious backgrounds. Support healthy lifestyles for children (aged 0-5) through nutrition and exercise. Physical care routines. Children’s emotional well-being. Supporting children who are unwell. Introducing Solids. Breastfeeding, bottle feeding and weaning. Food safety in the work setting/home environment. Understand the value of Play in Early Years. Plan, lead and review play opportunities. Play environments. Supporting children’s development through play, the value of play in early years. Observation, Assessment and Planning to promote the development of children and their needs. Promote children’s speech, language and communication. Develop children’s cognitive skills. Promote children’s physical, emotional, personal and social development. All applicants will be required to apply for a DBS check (Disclosure & Barring Service, formerly the Criminal Records Check) through us unless they already hold an up to date and clean DBS. In either case, this needs to show there are no issues to be employed as a child care provider. Students generally take 12 – 18 months to complete all their assignments, but it can be completed quicker if you are able to put more time into your studies. Some students have finished the course in 9 months. Tuition fees for our CACHE Level 3 Diploma for the Early Years Workforce (QCF) Incorporating the Nanny Diploma is £2,700 including a £300 registration fee which is payable upon acceptance of a place with us. We can also offer a monthly instalment plan: £300 registration fee followed by £210 per month for 12 months, and this can be paid directly by the students employer which will be deducted from their salary. You are required to have an up-to-date DBS. If you haven’t had a DBS check then we can arrange this for you at a cost of £75 which doesn’t include the update service, this will need to be purchased separately by yourself when you receive your certificate. LSCS is a professional training academy for nannies and child carers that provides high standards of teaching, mentoring and assessing. The investment in this course by our students opens up attractive employment opportunities for graduates. 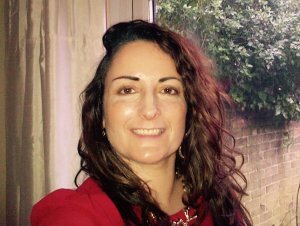 Susie Meagher has worked in Childcare for 20 years as a Nursery Nurse, Deputy and Nursery Manager, Lecturer/Tutor in FE Colleges. 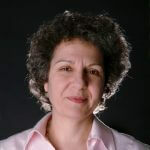 Now she is Tutoring and Assessing on the CACHE Level 3 Early Years Educator courses, and has experience working with Children with Special Educational Needs Dyslexia, Dyspraxia, ADHD and Autism. Susie enjoys keeping up to date with current issues and continuous professional training and attending Seminars Nursery World Exhibition yearly this is something Susie likes to encourage Students to attend. Julia Wolman is a registered nutritionist specialising in baby and child nutrition. She holds a BSc (Hons) in Applied Human Nutrition and a Masters in Psychology & Health and is registered with the Association for Nutrition as well as being a member of SENSE. Julia’s passion for promoting healthy eating in children has seen her working with the NHS to deliver healthy eating projects for families and training schools, nurseries and children’s centres, co-develop the internationally successful obesity prevention programme for 2-4 year olds with MEND Central and write for publications such as Nursery World, Practical Professional Childcare and Practical Parenting. In 2011 Julia founded Teeny Tummies which focuses on supporting parents through weaning, fussy eating and other child nutrition issues. Julia effortlessly transmits not only knowledge but also a passion for healthy eating in her training sessions for the London School of Childcare Studies. Nanny work experience is an important part of the Nanny Diploma course. Practical training allows you to learn essential skills to support both children they are in charge of and parents who they work along with. Our nanny work experience programme meets CACHE requirements for work placement hours that nanny students are required to complete in order to finish the course. As your professional experience varies (you may not have limited experience in working with children under 5 or you may have experience only with older children), your hourly rate will depend on practical skills that you have or have not yet gained while working with children. We strongly recommend that you prepare a CV that clearly shows your experience, skills and any childcare qualification before you start meeting our families for interviews and our career support team are here to help guide and support you on making changes. As with any placement, parents will be expected to support you and not to leave you in sole charge of their children from day 1 of your placement. Families will be providing us with feedback throughout the placement. Our nanny work experience scheme is designed to give you a chance to gain experience and references that are essential for your future job search. More information about can be found on our Work Experience Page. Have an up-to-date CV with a personal statement and references. DBS check (if you are not on the update service, we will apply for you). If your application is successful, you will be invited for an interview.